Samsung has just unveiled its newly developed full 1080p HD analog video surveillance product series. This all new lineup of cameras is made up of an HD-SDI 1920 x 1080p box camera, an HD-SDI 1920 x 1080p dome camera and a four-channel HD-SDI DVR. The HD-SDI is a broadcast industry standard and is used to transmit HD images in a digital format over an analog infrastructure. In addition to that, the HD-SDI technology also enables transmission of uncompressed and non-packetised digital video signals with zero loss of image data and zero latency during viewing. The SCB-6000 box camera, as well as the SCD-6080 dome camera, both feature full 1080p HD resolutions and are easily integrated into existing standard definition video surveillance systems. True day/night functionality, as well as SSNRIII technology, also add to the applications of the cameras in terms of flexibility and performance features. The full HD cameras also offer RS-485 and 24V AC or 12V DC capabilities as well. In addition, the SCD-6080 dome camera also features a 3-8.5mm lens with the SCB-6000 box camera accepting a manual or DC Auto Iris lens with C or CS mounts. The 4-channel SRD-480D DVR delivers real time recording in 720p HD for each channel and supports recording in full 1080p HD. Aside from H.264 compression technology, this DVR also features a de-interlace function to help delineate the edges of moving objects. In addition to that, audio can also be recorded on all four channels and the SATA HDDs allow DVD-RWs and USB devices to be used for archiving purposes. Compro Technology is expected to present 3G wireless IP video surveillance solutions and also a brand new line of network video recorders that are designed for home and small business users at this year’s upcoming Secutech 2011. There are a ton of advantages to having video surveillance technology that utilizes 3G technology. With 3G wireless connectivity, cameras from Compro allow for a lower cabling cost as well as a simpler installation. 3G cameras also do not require building or maintaining a network infrastructure or a WiFi hotspot. In addition to that, unlike installing cameras with WiFi or wired internet connections, the installation area of a 3G camera is not dependent on the availability of WiFi or Ethernet ports. Compro believes that 3G cameras offer true flexibility in terms of installation location and mobility and that this brings new dimensions to the market of surveillance cameras. That is why Compro will be introducing 3G indoor box cameras as well as 3G outdoor bullet cameras. The indoor box cameras will feature VGA resolution, H.264, D/N etc… whereas the new 3G capabilities will help eliminate cables and simplify camera relocation. The outdoor bullet cameras with their 3G capabilities can be easily installed in locations where network cabling is difficult, expensive or invasive or in areas where WiFi signals are non-existent like beaches, temporary venues or old buildings. 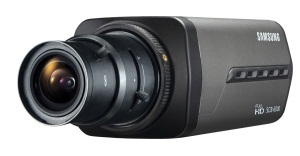 3G capability will make this camera even better along with its VGA, H.264, D/N capabilities. Wireless cameras are popular in the security camera market these days, and 3G looks to take all the convenience of a wireless camera and increase it tenfold. The ability to not have to worry about wireless routers or running expensive cabling is a reward all in itself. File Server rentals are ideal if your company needs an extra storage unit for company information while you are testing various types of storage solutions.Whether you need a short-term rental or a long-term lease, we have the right kind of server for your needs.